I appear to be in quite the conundrum. Greg has up and booked it on me. He's in Chicago worrying about big important stuff and I'm at home worrying about little, not important stuff. Like dinner. You see, more than anything I want Cafe Rio. I need it in a "Give this pregnant woman a burritio NOW" kind of way. But Cafe Rio is 15 minutes away. And it's freezing cold. And I have plenty of food at home. AND I'm home alone. If it weren't for the home alone part I'd be there straight away. Something about going out to eat all by yourself just depresses the bejeebies out of me. Like I have so little control over my sweet pork cravings that I will show up 100% alone and eat dinner by myself on a cold winter's night for a little taste of a burrito? Yes. Definitely too depressing. So now I'm eating nasty frozen vegetables that I heated up in the microwave and looking at pictures of Cafe Rio. Worst dinner idea ever. For the rest of the day I've got Maegen taking over. Ever since I announced my pregnancy news my guest posters have been writing killer pregnancy posts! I swear, all I had to do was get pregnant to cure writer's block for all bloggers everywhere! Kidding. Kind of. I have just been so impressed with the guest posts that have been submitted to me lately, and this one is no exception. Maegen's six reasons to be jealous of a pregnant women are HILARIOUS. Make sure to stop by her blog (or brand new boutique!) and show her some love. Hello fellow Life of Bon lovers! I'm Maegen from The Modern Tulip blog and The Modern Tulip boutique and I'd be lying if I said I wasn't both thrilled and intimidated by being on Bonnie's blog today talking to all of you! I know guest posts are not our favorites, but I thought, "Hey! If I talk about Bonnie, maybe they'll all stick around"! So that's what I'm going to do. Actually, I'm going to tell you why I'm jealous of Bonnie and her greatest news yet! one. Pregnant women get to eat whatever the heck they want, whenever they want, no questions asked. This might be my biggest jealousy yet. When I crave Fritos with mustard Jon looks at me like I've gone half mad! If I'm dreaming of 20 hot wings with ranch and a side of fries at 2am Jon tells me to go back to sleep. It's not fair. If I was pregnant I could blame it on the baby and we'd be on our way to Buffalo Wild Wings before the crack of dawn. two. They are the center of attention. Everyone wants to talk to the pregnant woman. "How are you feeling"? "What's the gender"? "What are your symptoms"? It's like something draws us to pregnant woman. We want to know everything. They are the highlight of the show. three. You get to have a belly without judgement. Now I know some pregnant women are hormonal about people talking about this. My sister-in-law was never happy when people mentioned her stomach. But I don't think I'd mind people talking about how large my stomach has gotten during my pregnancy or even touching it for that matter. It's not because you are fat, for goodness sake. There is a growing life inside of you! It's the one time in life your expected to have a belly without ridicule. Now ask me this question if I'm ever pregnant and see if I still feel the same way! five. The maternity clothes. It's not everyday you have a legitimate excuse to go buy new clothes. Even though it's probably annoying that you can't wear some of your favorites pieces in your closet, I find the thought of going and buying a full set of new clothes just for this phase of your life exciting. Not to mention maternity clothes are cuter than non-maternity clothes nine times out of ten. six. They are hitting a milestone that most of us women dream about. If you are like me, you have dreamt of being a mother for a long time. There is a natural jealousy when it comes to seeing other women hit that milestone in their lives. The major beauty in it is The Lord has the perfect time for all of us! Come visit me however you prefer via my Blog, Twitter, Instagram, Bloglovin or Facebook. There will be no chronicles of a pregnant woman just yet, but I can ensure there will be sarcasm and many cocktails. One of the few reasons I'm not jealous of pregnant women! Cheers! 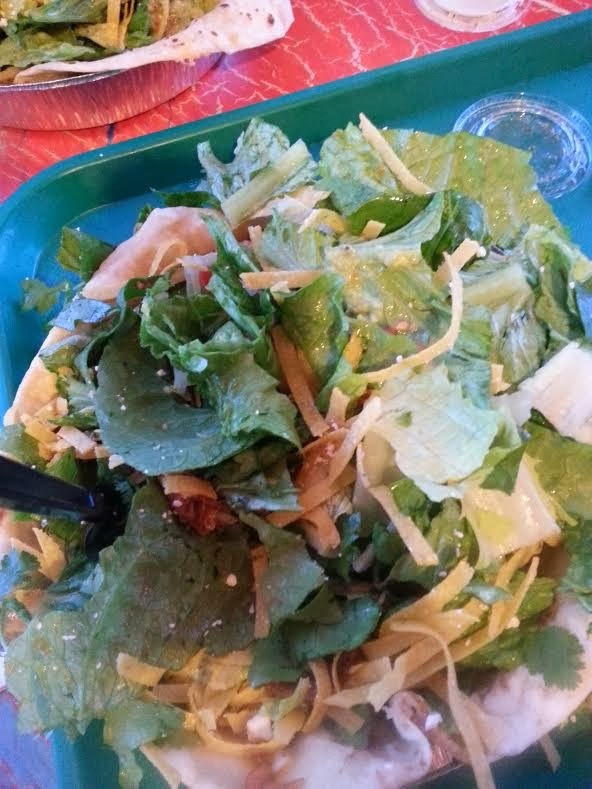 Oh my goodness those pictures of Cafe Rio are dangerous! Thank goodness it's so late or I would probably be headed there now! Also, being the center of attention and being asked the same 5 questions over and over gets old pretty fast. I remember getting to a point where I wholeheartedly appreciated any conversation that didn't revolve around pregnancy or baby. Talking about the weather never seemed so riveting... ! Haha Bon, c'mon now! That's what a to-go order is for! :) I don't eat out by myself either. I get too self-conscious, and in my mind, people are judging me for being the loser girl without friends eating out alone. I know, stupid! 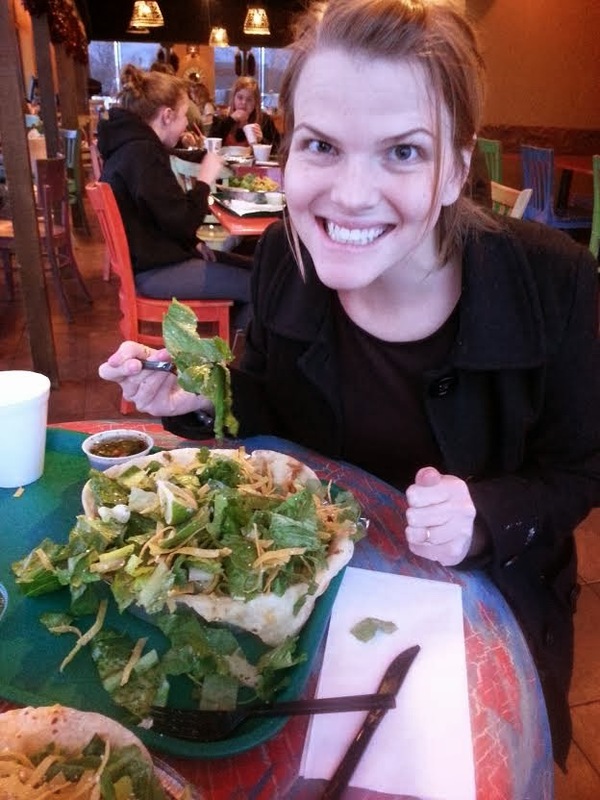 Before I got married, my roomie and I were suckers for going to Cafe Rio/Costa Vida at least once a week. I still get those cravings. I'd be willing to go with you sometime, like after school for an early dinner, since we'd both be up in the Jordan area. My roommate showed me Cafe Rio two years ago, and we literally drive seven hours down to LA twice a year to have it. Holy sweet barbacoa, that place is heaven. Should mankind use the Bible and the Bible alone for teaching faith and practice? If God's truth is the template for you, then the Bible should be your source for truth. THREE EXAMPLES OF WHY EXTRA-BIBLICAL SOURCES ARE NOT RELIABLE SOURCES FOR GOD'S TRUTH. 1. Quote from Pope Francis May 22, 2013: "The Lord created us in His image and likeness, and we are the image of the Lord, and He does good and all of us have this commandment at heart: do good and do not evil. All of us. "But Father, this is not Catholic! He cannot do good.' Yes he can..."The Lord has redeemed all of us,all of us, with the Blood of Christ: all of us not just Catholics Everyone! Father, the atheist? Even the atheists. Everyone! ....We must meet one another doing good. ' But I don't believe, Father, I am an atheist! But do good:we will meet one another there." 2. Quote from Billy Graham October 20, 1997: "I think everybody that loves Christ, or knows Christ, whether they're conscious of it or not, they're members of the Body of Christ......He's calling people out of the world for His name, whether they come from the Muslim world, or the Buddhist world,or the Christian world, or the non-believing world, they are members of the Body of Christ,because they've been called by God. They may not even know the name of Jesus, but they know in their hearts that they need something that they don't have, and they turn to the only light that they have, and I think they are saved, and that they're going to be with us in heaven." 3. Quote from Doctrine of Covenants -section 130:22 (Mormon supposed divine revelations): The "Father has a body of flesh and bones as tangible as man's; the Son also; but the Holy Ghost has not a body of flesh and bones, but is a personage of Spirit. Were is not so, the Holy Ghost could not dwell in us. GOD'S WORD IS FOUND IN THE BIBLE AND THE BIBLE ALONE. I feel like this has nothing to do with cafe rio...or pregnancy. Plenty of other life of bon posts you could haved plagued this with, and actually be on topic. My question is why did you pick this one? Strange indeed. Bahaha. Ashlee you are hilarious. Yes, Steve Finnell chose an interesting time to strike, didn't he? How exciting! I'm thrilled to hear it! We have Cafe Rio too in Montana! it's DA BEST. Your pictures of food makes me crave better food than my nut bar that I'm eating at my desk right now...jealous to the max. I will concur with Maegan on point 1 for sure!